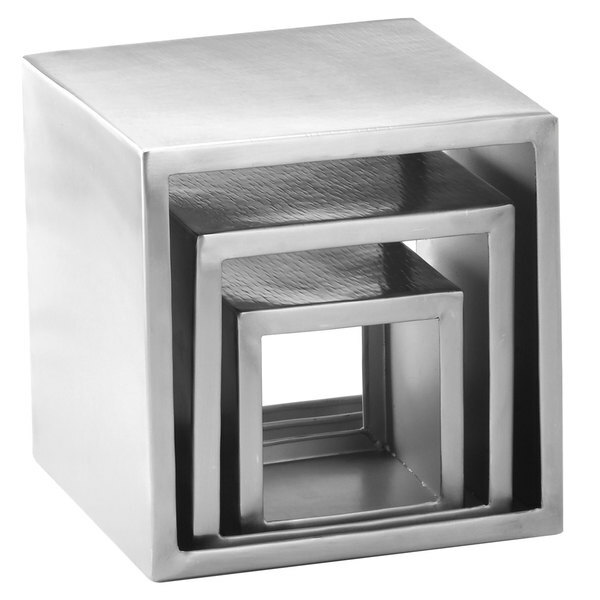 Design dazzling, multi-level food displays at your buffet, restaurant, or catered events with this sturdy stainless steel Tablecraft RS3 three piece square riser set. 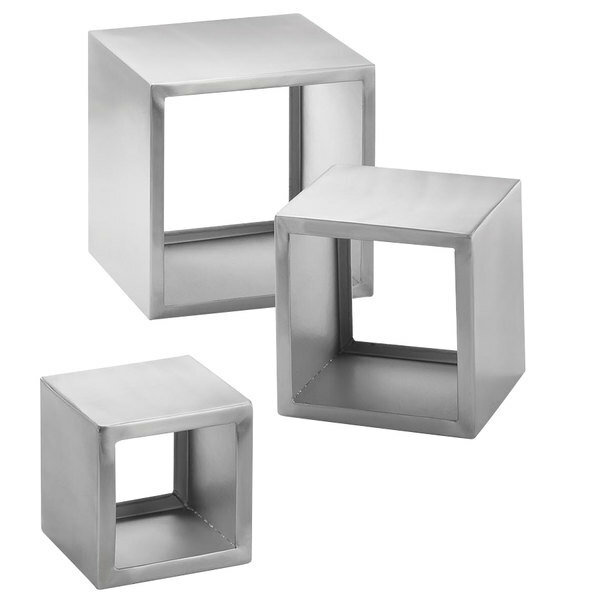 The Tablecraft RS3 three piece stainless steel riser set is perfect for drawing customer attention to hors d'oeurves, sides, or even featured dishes and daily specials. The set includes 16 slip resistant sleeves to help prevent the risers from sliding on tabletops. Cal-Mil 3374-12-60 Bamboo Stair-Step Riser - 24" x 12"
These are awesome risers. They are so modern and industrial looking. In our coffee shop we use them to display our cups so that customers can see which sizes we offer. These risers are absolutely amazing! They look just like the picture, you can turn them either way with our without the opening, still beautiful. I will be displaying these with the opening filed with white roses.